after switching from SD advanced fitness, taking 10 days to mix out with this from pet store. 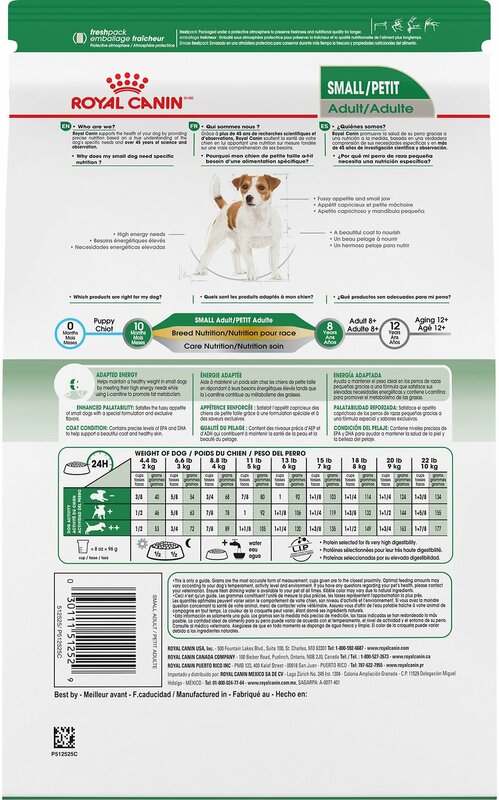 Placed order with Chewy (here in 2 days) along with the Jack Russell small bag to mix. same amount of food. He actually chews the JR kibble instead of an occasional chew of this. Next time I will order big bag of JR and small bag of this. Also, I like that RC comes in specialty diets, if needed for the future. Thank you. We just started transitioning our maltipoo to this formula from another brand. The transition has gone seemingly well and we are pleased with how our dog seemingly feels! We are starting a food transition to this brand for our cat as well since this is the brand our vet recomended and we have a factory right down the road from our neighborhood! Switched my puppy’s dry dog to Royal once she turned one. She just loves it. Wo t pick up her once I put that bowl down. 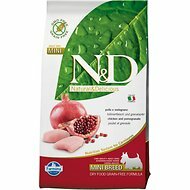 I balked when our vet recommended this food for our plump chihuahua BUT everyone loves it and fights for his bowl: the lab and the pig! Competition probably helps with the weight control. 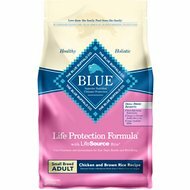 Switching from our puppy food to a dog food and our vet recommended this product. Haven’t fully switched yet but we have high hopes! My little Lily loved this! That's enough for me. Her coat is healthy and so are her teeth and gums. I would recommend it to anyone who loves their pets! I have three small dogs, two Westies and 10 month old Jack Russell. 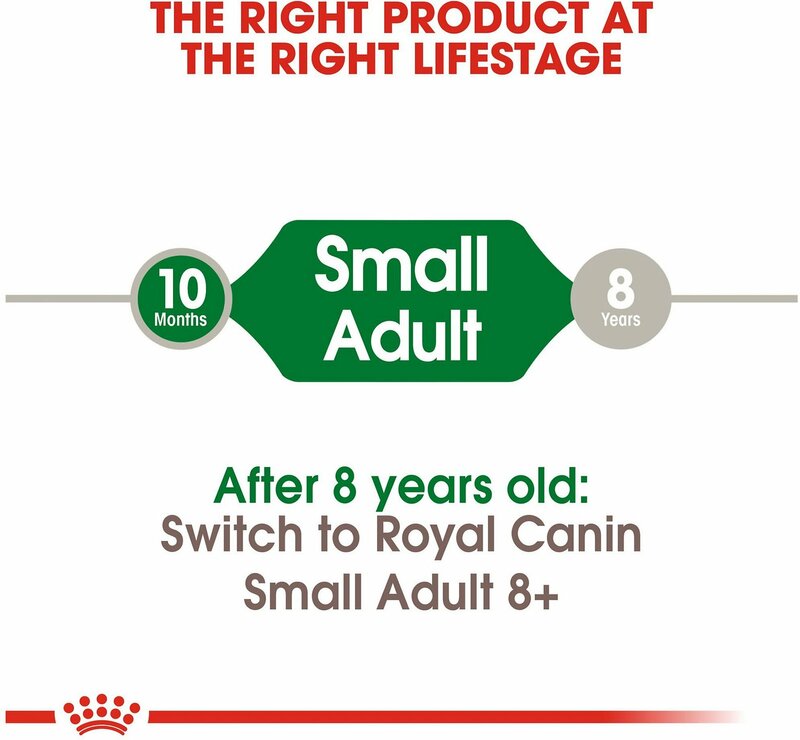 Our puppy has been growing strong and healthy on Royal Canin Small Puppy Food and has just graduated to adult. He loves it and shares bites with the others. Thanks for the great food. My dog is the PICKIEST eater. He eats this kibble more readily than any of the others I've tried. Also love that it's a vet recommended brand so I feel confident in the nutrition. It also smells better than any other dog food I've encountered. As a new puppy owner I was clueless about what to feed her. Since she is an AKC puppy, they recommended Royal Canin puppy formula. She loved it. Now at 8 mos. 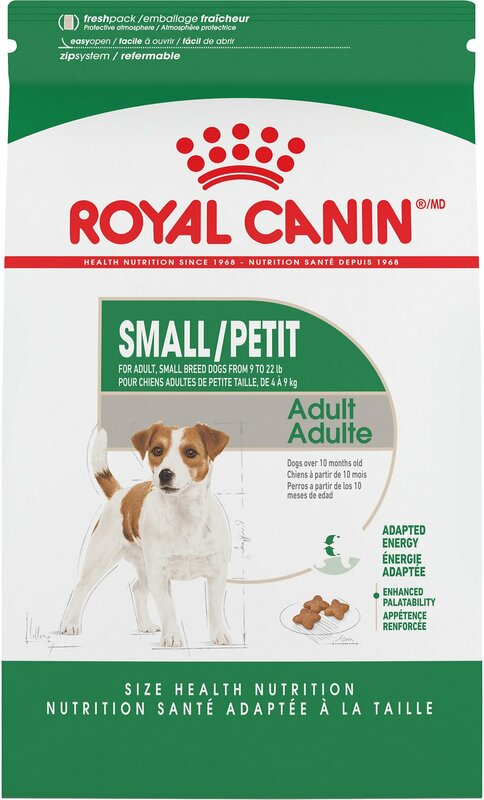 we are on Royal Canin adult small dog dog food and she loves it also. Thanks Royal Canin! !